Disney’s investment in Zootopia doesn’t stop at the box office though. The media giant also just announced that they will be bringing the first-ever Zootopia-themed land to Shanghai Disneyland. The new land will feature a new major attraction that seamlessly blends Disney’s storytelling and state-of-the-art technologies in order to bring this fan favorite movie and its characters to life. 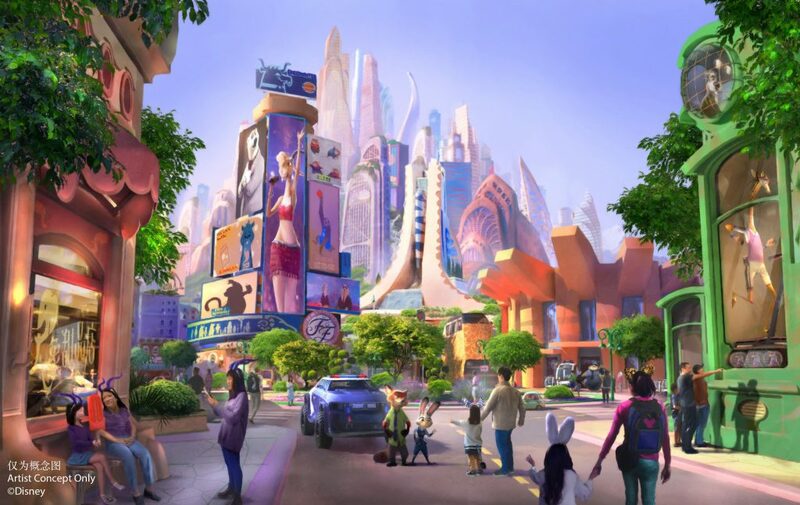 The new themed land will also invite guests to fully immerse themselves in the mammalian metropolis of Zootopia, “where anyone can be anything,” and come along on an adventure with Judy and Nick, the lead characters from the movie. Construction on the Zootopia-themed land is set to begin later this year. As always, stick with BlogMickey.com for the latest Disney news! Our thanks go out to RingScoops on YouTube for filming the meet and greet. Put this in Disney World’s Animal Kingdom to replace Rafiki’s Planet Watch. It would add another fully immersive world to AK along with Pandora. As for the sequel’s, it’s about time. I´m just so sick and tired of sequels, franchises and the like. Give me an original story, for Christ´s sake. I’m available if Disney wants to cast me.